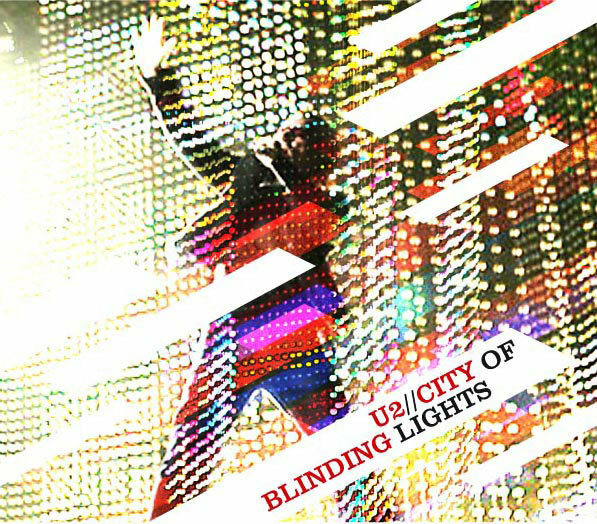 City Of Blinding Lights was the opening song on the opening night of the 'Vertigo' tour in San Diego at the end of March 2005 - and it's been bringing down the house ever since. As the tour progressed, this opening track was greeted not just with the band's arrival on stage but also with a million pieces of glinting confetti falling on the audience from the roof of the venue. It's live performance soon became one of the most hotly anticipated tracks from the new album during the tour - it had long been a favourite of the band. And then I saw this photograph - I guess I would have been 20, 21 - getting into a helicopter, the first time I'd ever been in a helicopter, first or second video we made, and it was New Years Day, and we're just about to take off. And I saw this face, and the face was so open and so empty of complications and so the naivety was there and it was so powerful, and this Dutch journalist came up and said, 'Bono, what would you say now to this Bono back then, have you anything you would say?' And I was trying to think what I would say, and it kind of just came out of my mouth, I said, 'I'd tell him he's absolutely right, stop second guessing yourself.' Back then I didn't know how powerful that naivety was, I didn't know how powerful that innocence was so I was trying to rid myself from it, I was trying to set fire to myself, and get rid of this, become a more worldly person, become a man of the world, and of course the less you know, the more you know, sometimes the less you feel, and really understand. Bono, describing some of the influences behind the writing of City of Blinding Lights.